Sir Nicholas Winton was born in Hampstead, London in 1909. For nine months in 1939 he rescued 669 children from Czechoslovakia, bringing them to the UK, thereby sparing them from the horrors of the Holocaust. Sir Nicholas died in July 2015, aged 106. Why are you making such a big deal out of it? I just helped a little; I was in the right place at the right time. Despite Sir Nicholas’s humble and inspiring statement, it was more than just being in the right place at the right time, as his life story will show. 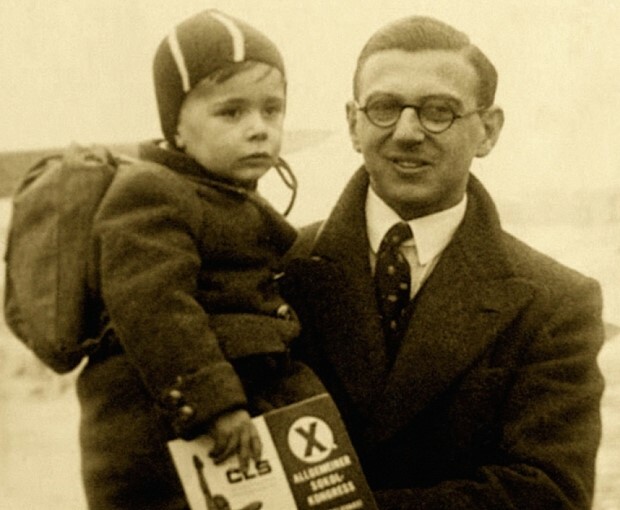 Sir Nicholas Winton was born in Hampstead in 1909 to Jewish parents. In December 1938, at the age of 29, Winton cancelled a planned skiing holiday after being urged by a friend, Martin Blake, to go to Prague to see the dire situation for himself. The area had become overwhelmed with refugees after Germany had annexed the Sudetenland, a mostly German-speaking area of Czechoslovakia. Winton travelled to Czechoslovakia where he was sent by Doreen Warriner to see several refugee camps. Blake and Warriner were both working with an organisation to help relocate the adults, and Winton quickly realised that something had to be done to rescue the children who were caught up in the situation. He simply could not stand by. On Kristallnacht (9 and 10 November 1938), the Nazis had initiated a campaign of hatred against the Jewish population in all Nazi territories. An estimated 91 Jews were killed, 30,000 were arrested, and 267 synagogues were destroyed. Following this, the British government relaxed its immigration laws and agreed to allow in a limited number of children from Germany and Austria. This programme was known as the Kindertransport, and some 10,000 children were successfully brought to Britain. Winton asked the British government to allow some Czech children to come into the UK as well; permission was granted on the condition that each child was matched to a host family who would care for the children until they were 18, and each child had to have a guarantee of £50 paid by their family. Winton, alongside a few volunteers – including his mother – worked tirelessly to arrange everything the children needed, including finding host families and raising funds to cover the travel expenses of the children. Winton was able to arrange for 669 children to come to the UK over the next few months, the majority of whom were Jewish. The last train of children was scheduled to leave on 1 September 1939. It was cancelled because war broke out; Winton believed that ‘none of the 250 children on board was heard of again’, which was an awful feeling for him. Although many of the children hoped to be reunited with their parents and families after the war, the majority of them discovered that their parents had been murdered in the Holocaust. It was Winton's actions, and those of his colleagues, including Trevor Chadwick and Doreen Warriner, who compiled lists of the children and travelled with them on the trains, that prevented them from meeting the same fate. During the war, Nicholas Winton became an ambulance driver, before joining the RAF. After the war Winton joined the International Bank in Paris where he met his wife, Grete. They had three children, one of whom sadly died the day before his seventh birthday. After he retired, Winton spent much of his time doing voluntary work, having been president of the Maidenhead branch of Mencap for over 40 years and co-founder and president of the Abbeyfield Maidenhead Society. Winton did not hide what he had done in 1939 but it was not well-known publicly because Winton did not think he had done anything extraordinary. Years later, Winton was trying to donate his papers, identifying the children, and matching them up to families, to an archive or museum. Shortly afterwards, Winton was invited to appear on That's Life!, a television show where, to his surprise, he was reunited with some of the children he had helped, including Vera Schaufeld. For most of the children, it was the first time they found out who had rescued them, and felt it was a real honour and privilege to come face to face with their rescuer. Winton was subsequently awarded many honours, including a knighthood, the Freedom of the Cities of both Prague and London, and the Order of the White Lion, the Czech Republic’s highest honour. 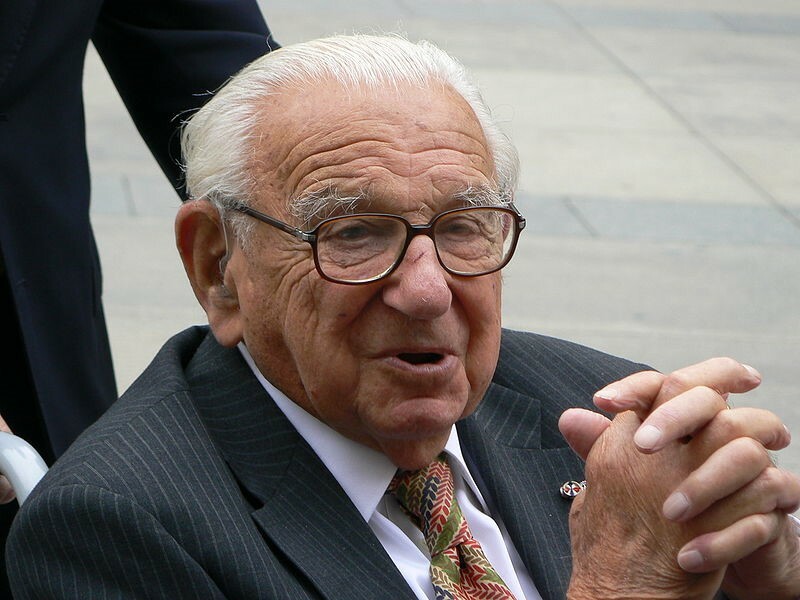 Sir Nicholas Winton was an inspiration to many people, all around the world. He humbly insisted that anyone would have done the same. But they didn't. Most people stood by. This life story was produced with the help and support of Barbara Winton, Sir Nicholas' daughter.